This post presents work we have undertaken to understand the dynamics generated in the solar atmosphere by the solar global oscillating eigenmode. 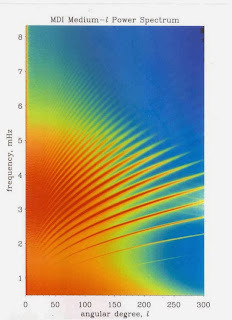 We describe a model for studying dynamics in the solar atmosphere and describe simulations performed using this model. 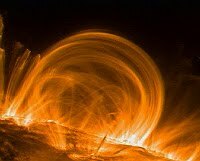 The results provide evidence of induced dynamics in the solar atmosphere. 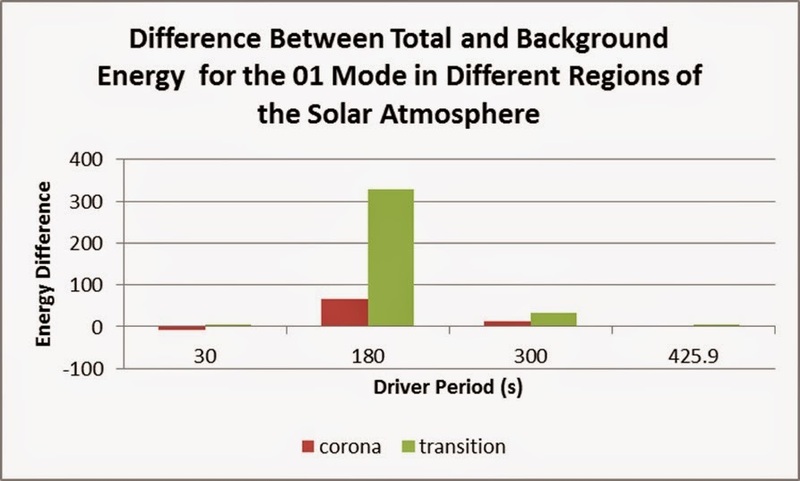 understand the dynamics allowing mode tunneling and energy leakage into the corona. 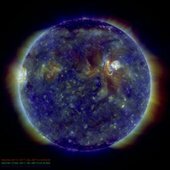 The Earliest observations of dynamical motions of the solar surface dates back to around 1918, (St.John C.E. et al, from Doppler Shift when studying solar rotation). In 1960 Leighton, reported observed Vertical motions of 300-400m/s, these were explained by Ulrich 1970. The solar p modes are generated by global resonant oscillations and turbulent motions just beneath the photosphere. Modes which trapped below the photosphere are refracted by a sharp change in density. There is a power peak at 5 – minutes these are p mode oscillations. The picture below shows an example of a power spectrum obtained from 144 days the MDI Medium-l data for the modes averaged over the azimuthal order m. The power concentrates in ridges corresponding to solar acoustic (p) modes. The lowest weak ridge corresponds to the fundamental (f) mode. It is found that modes are evanescent around the photosphere, propagation into the corona is inhibited. However, modes can tunnel through and propagate into the solar atmosphere. Earlier work of Malins and Erdelyi using 2D hydrodynamical models to study dynamics with point drivers demonstrated cavity modes in the Chromosphere. There are also surface modes at the transition region. It is interesting to understand dynamics which enable tunneling. Local acoustic cut-off is a natural period, disturbances at the cut off can cause dynamic responses. Propagation occurs below the cutoff, there is evanescence above the cut-off. As demonstrated by Schmitz, 1998, the Cutoff can be calculated in different ways and for an Isothermal atmosphere or a highly stratified atmosphere. 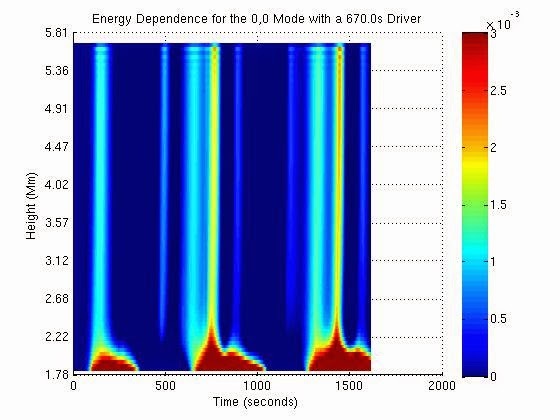 For the simulations undertaken here we represent oscillation modes as a vibrating membrane driver located at temperature minimum. 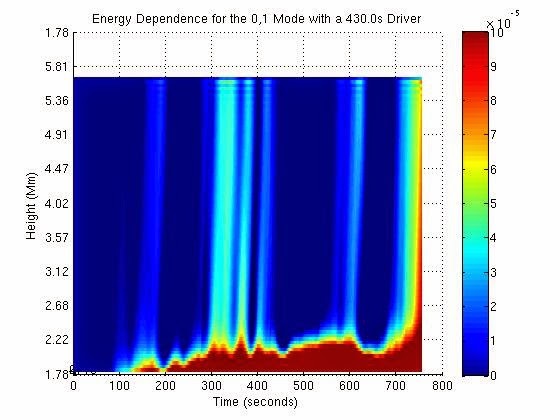 We ensure that the simulation is constructed such that the driver delivers the same amount of energy for different modes. If we assume that the total membrane energy for all modes is the same as the fundamental 00 mode i.e. This was obtained using the scilab script membrane_modes.sce which is available on github. Simulations were performed using the stratified MHD code enabled for GPUs (SMAUG). For the computational Model we used a Model of the stratified solar atmosphere using data sets from VALIIIC and McWhirter. The model height is a 6Mm through the atmosphere with a cross section of 4Mmx4Mm. The computational domain was divided into 128x128x128 equal computational elements. 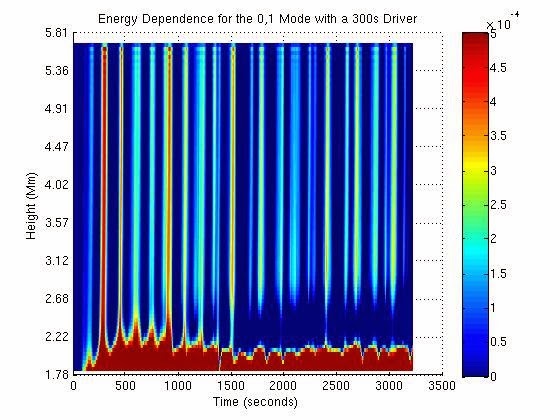 Simulations were run with membrane drivers, with periods of 30s,180s,300s these were run for the 00,01 and 02 modes. 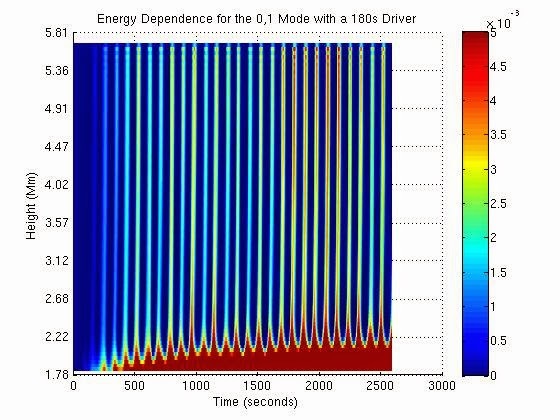 To study the energy leakage and the evolution of the membrane oscillations we present simulation results showing a view through the simulation box for the vertical component of the velocity. We also present plots showing the integral of the total energy for each time step through the solar atmosphere. The integration of the total energy is performed over the model cross section and at each height of the computational domain. Since most of the energy is trapped near the photosphere, we plot the energies for the transition region and into the Corona. we compute the frequencies for the normal modes, for the 00, 01 and 03 mode. For the 00 mode a 670s driver was used, for the 01 mode a 430s driver was used and for the 03 mode a driver with a period of 230s was used. For these normal modes of oscillation we obtain. The image above shows distance time Plots for 0,1 mode from left to right 30s, 180s, 300s for the vertical component of the velocity. 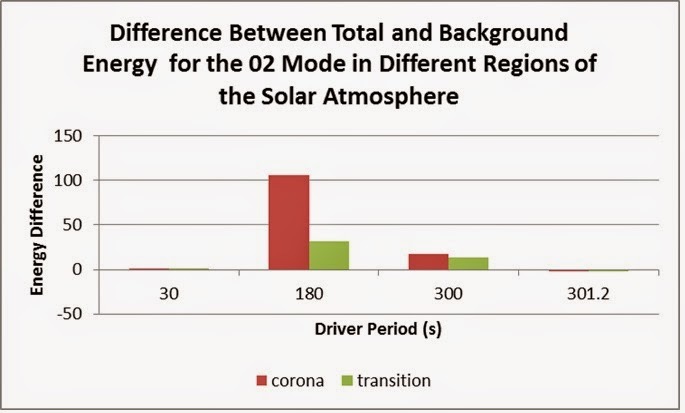 It is clearly seen that the 30s mode does not support oscillations in the corona. 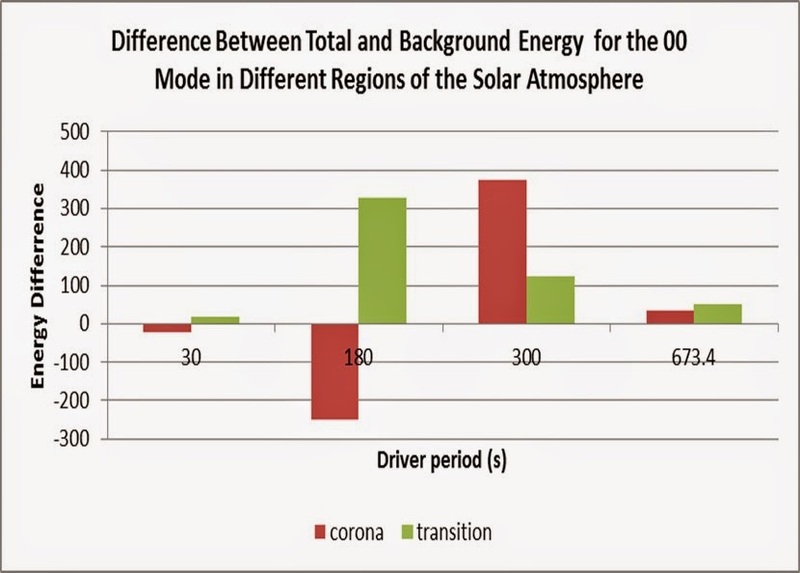 The 180s and 300s modes support standing modes in the transition region and the corona. 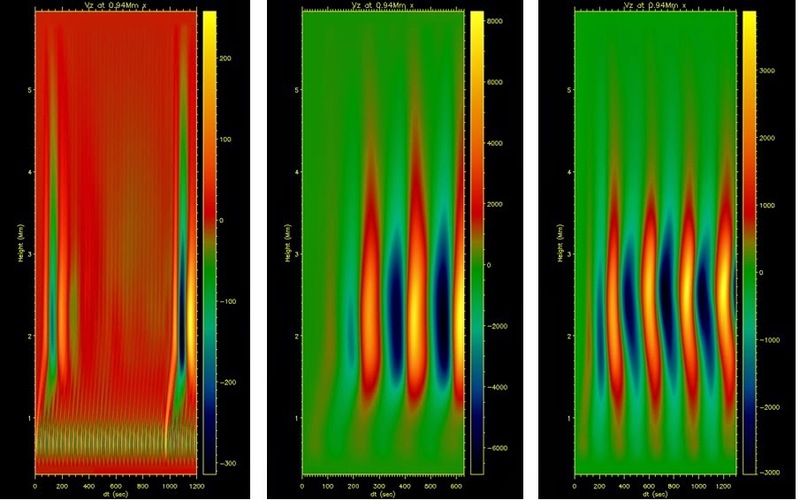 It is informative to summarise this collection of results by presenting plots which show the energy deposited into the corona and transition zone. The energies have been integrated over these regions of height and also over time, an average was taken over the times. For computing the integration the chromosphere is from the base of the simulation box to a height of 1.78Mm, the transition region is between 1.78 and 2.16Mm and the corona is the remainder of the box above 2.16Mm. For the integrated energies we compute the difference between the total energy and the background energy, i.e. 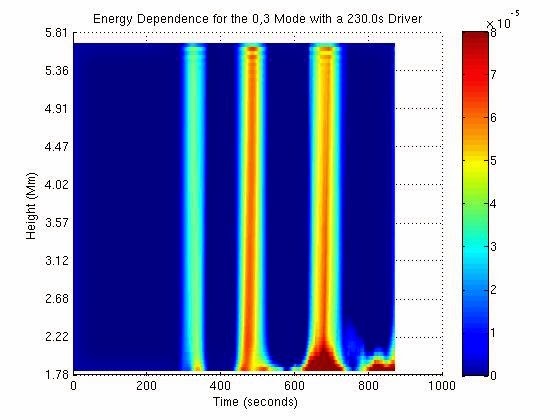 the perturbed energy, these integrated energies are shown in the plots below for the different modes and different driver frequencies. The 180s fundamental is effective at leaking energy into the transition region but energy leaks from the atmosphere and back to the transition region. The low values for the 30s driver are related to the cutoff? 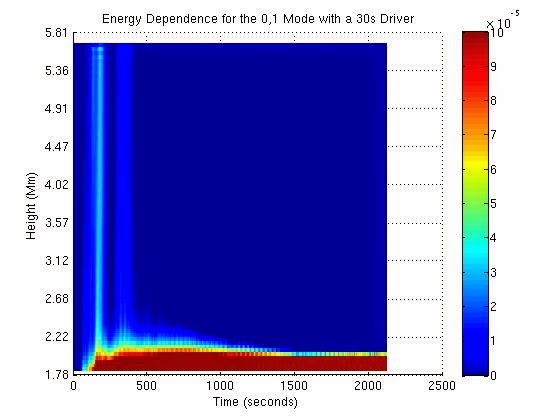 For the fundamental mode the 300s driver appears to be the most effective at enabling energy leakage into the atmosphere. Not all wave energy of the driver will go to the corona. The drivers can excite surface waves in the TR region, waves can be reflected from the TR region. Further work will consider genuine MHD examples for a vertical B field, a horizontal B field and for flux tubes. The influence of a chromospheric magnetic field on the solar p- and f-modes. Campbell, W. R.; Roberts, B.
Hindman, Bradley W.; Zweibel, Ellen G.; Cally, P. S.